Pound the garlic and fennel seeds in a mortar and set it aside. 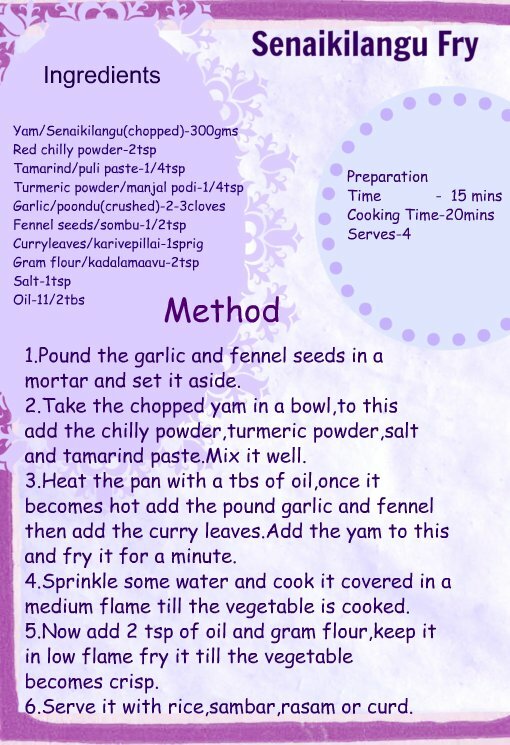 Take the chopped yam in a bowl,to this add the chilly powder,turmeric powder,salt and tamarind paste.Mix it well. Heat the pan with a tbs of oil,once it becomes hot add the pound garlic and fennel then add the curry leaves.Add the yam to this and fry it for a minute. Sprinkle some water and cook it covered in a medium flame till the vegetable is cooked.Now add 2 tsp of oil and gram flour,keep it in low flame fry it till the vegetable becomes crisp. 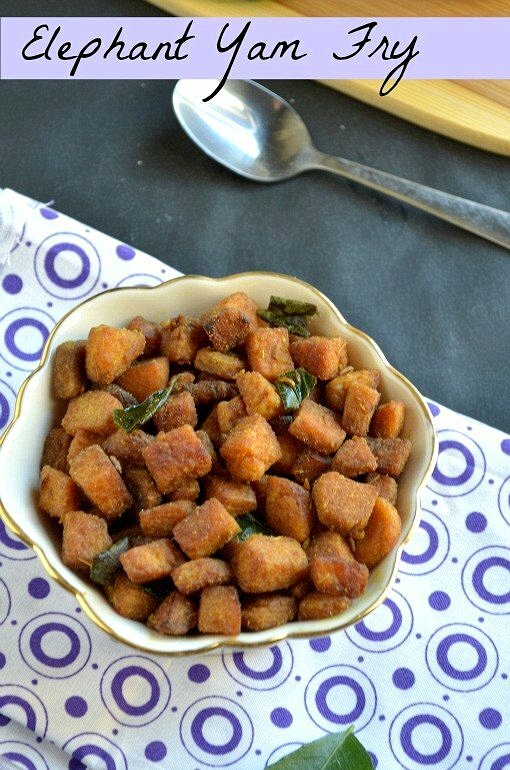 Serve it with rice,sambar,rasam or curd. Fry it in a slow to medium flame to get crispy. 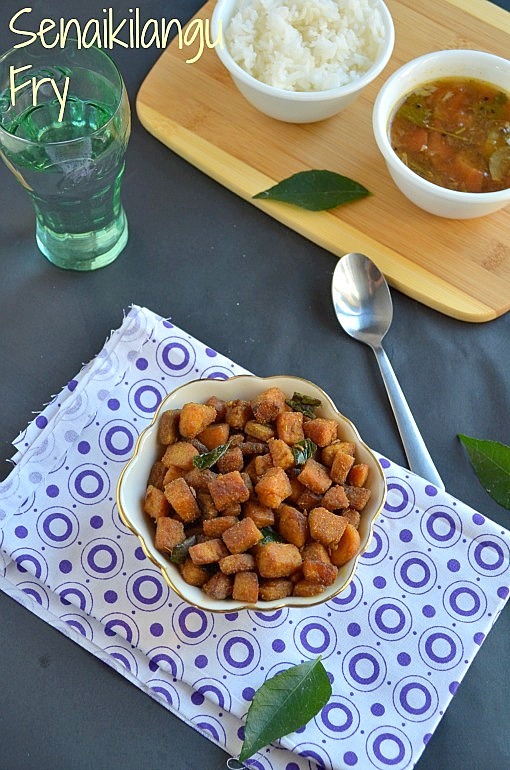 If you are using fresh yam put the chopped yam in a boiling water for a minute or two with a piece of tamarind and pinch of salt,then drain it. 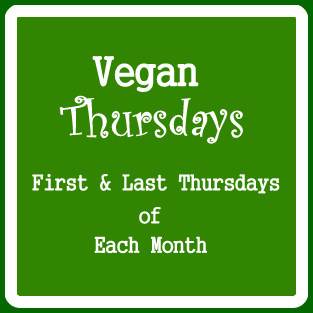 Do Check my friends recipes who participating in Vegan Thursday. Love yam.. But it has been ages since I last had it.. Looks delicious and perfectly made..
New dish with senai kizhangu...tempting clicks! Tempting me much... well goes with keerai or simple sambar ! 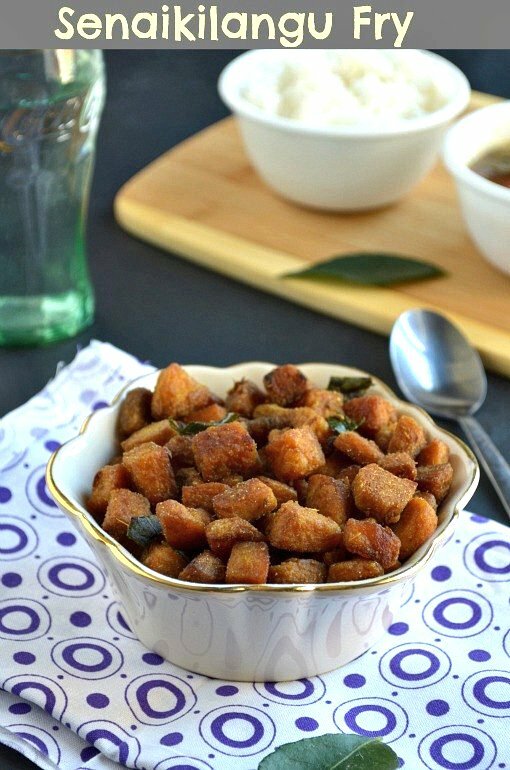 Super delicious fry Nalini, just wish to finish that bowl rite now.